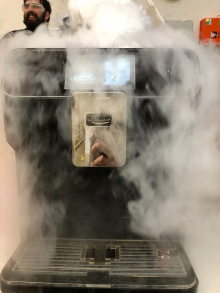 This is our coffee machine that people can use after a short introduction. Need help or want to brew some coffee? Join #mrcoffee on our slack!